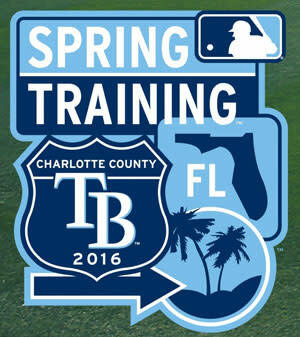 The Tampa Bay Rays are gearing up for Spring Training at the Charlotte Sports Park and are now accepting deposits for Spring Training Season Tickets. Rays Ticket Plans provide access to the best seat locations, the opportunity to purchase Postseason ticket packages and other great benefits. 2016 Season Tickets will be digitally delivered to your Rays Card. Printed tickets will not be issued; however, you will be able to use your Rays Ticket Account to forward tickets via email and print at home for free. Visit The Tampa Bay Rays for more details and to get yours today! The Rays open Spring Training March 2, against The Nationals, so take yourself out to the ballgame! The beautiful Charlotte Sports Park has kids&apos; play areas, a 360° boardwalk, fan-friendly concession stands and a top-notch team store.